‘Vice Principals’ gave us a feel good episode, with a dash of failure. So, I’m calling it: Vice Principals is a good comedy. I was cautious to say that after last week’s episode, but after three great episodes in a row, the show seems to have found what it’s good at. “The Foundation of Learning” was a feel good episode, with wins through and through. This episode could have settled for Gamby and Russell attempting to break down Belinda in comedic fashion per Vice Principals’ hook, but this episode took that and did more. The whole attack on Belinda’s superiority was fun to watch. The plan was to pit Mrs. LeBlanc, a teacher with tenure and rallying power, against Belinda by way of making 600 textbooks disappear. This proved to be effective as it made Belinda look like an absolute fool as her all-out commitment was stopped abruptly. I was glad to see Belinda’s confidence restored last week, and I’m happy to have seen it on display here too for what it led to in the narrative. The end result of this is Belinda’s reputation with the School Board damaged and fragile in its current state. Gamby got up to some shenanigans as he tries to one-up Ray on his own turn, all in attempts to earn his daughter’s respect. In comparison to all of Gamby’s past attempts, this felt less petty. The work he put in to train for this proved this as he genuinely wanted his daughter to see him as a cool dad. This built his relationship with Ms. Snodgrass in a natural way, contrary to all the boundary-busting, serial killer-esque ways he tried to win her over with Russell’s file. While Ms. Snodgrass’s position by Gamby’s side was the result of rejection by “The Field Trip”’s BIll Hayden, it was still a nice victory for our VP underdog. In “The Foundation of Learning,” Russell was victorious in his manipulation of Belinda and making her look like a fool. Gamby was successful in leveling up in his relationship with Ms. Snodgrass and hitting 12 o’clock in his motocross training session. It wasn’t until the end that both of our unlikely heroes were busted in their respective goals. Russell’s notorious, slobbery sneak attack was discovered in the act by Belinda herself. On Gamby’s side, he lost the respect of his daughter as he wrecked things around the track. It was great to watch the two VPs win throughout, providing some fun laughs, but by the end, these two were brought down a peg. 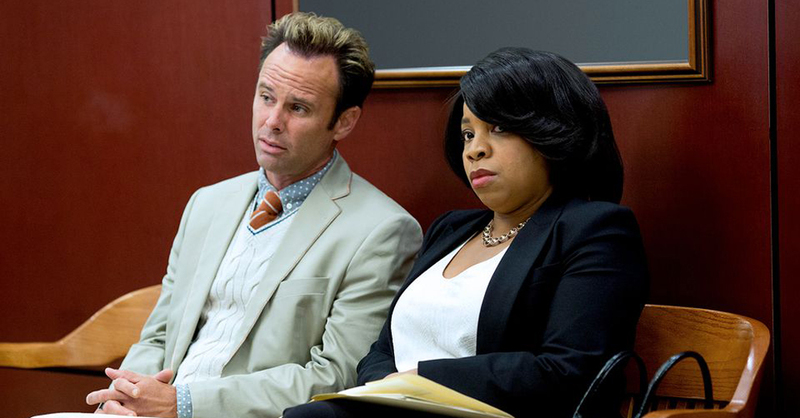 “The Foundation of Learning” continued Vice Principals’ great streak with a feel good episode. It was nice to see the VPs win, but it was also interesting to see them fail. Each episode slowly builds out the “universe” of North Jackson High, and the introduction of Mrs. LeBlanc was a fierce one. The show seems to know what it’s doing at this point. I just hope it can keep it up for three more weeks. Who f**ked up the most, Gamby or Russell? Tweet me @NerdDot or us @YouNerded.